What Is HGH Injection Therapy and Who Needs It? The decline in production of somatotropin – growth hormone – necessitates the use of a medication called human growth hormone. HGH therapy (HGH injection therapy) provides the body with a supplemental dose of HGH to replace what the pituitary gland no longer produces. What is HGH injection therapy and how do I know if I need it? These two commonly asked questions are the basis for our medical practice here at Greenberg Health. You see, we know that aging is the primary cause of growth hormone decline. Conversely, GH deficiency is the leading cause of aging. That is probably enough to confuse you. There is no way to know if a decline in growth hormone levels caused an individual to undergo symptoms of premature aging or if the natural aging process led to the decline in growth hormone levels. You see, they tend to go hand in hand. We utilize HGH replacement therapy for adults whose bodies no longer manufacture enough growth hormones. Somewhere around the age of thirty, the decline begins. The decrease is very slight but worsens each year. Some people adjust quite well to changing hormone levels – others do not. They are the ones who exhibit symptoms of early aging. Anyone who is showing signs associated with age-related decline should be tested for hormonal imbalances including GH deficiency. The primary use of HGH injection therapy is the increase of human growth hormones in the bloodstream. But, why is that important if the decline is a natural occurrence? When the body does not manufacture enough HGH, a breakdown in all these areas is likely to occur. Is HGH injection therapy anti-aging if it engages in all these functions? Some people would say that it is. HGH has been called the modern-day “fountain of youth” for everything it does. While it will not make you immortal, it will help your body look and feel its best at any age. Instead of looking 60 when you are 50, you can expect to appear closer to 40. You probably noticed that metabolism is one of the functions of HGH. It supports the conversion of protein, lipids, and carbohydrates into fuel rather than fat. Although HGH is not a diet, it will aid in the burning of stored visceral fat. For those who need and receive HGH injection treatment, low HGH levels will be a thing of the past. Balanced HGH levels also lead to the balancing of other essential hormones. The best way to keep the HGH injection therapy cost as low as possible while still maintaining safety and legality is to turn to a national hormone specialist. Local doctors typically include office visits in their fees. That can easily increase the cost of HGH injection therapy by hundreds and hundreds of dollars. 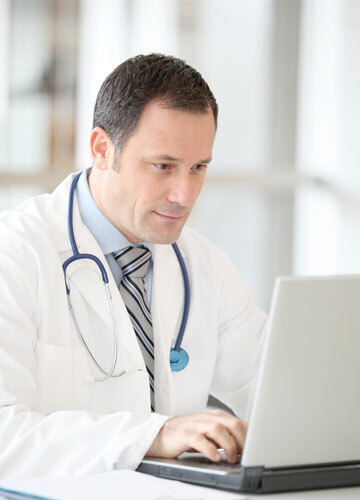 At Greenberg Health, your consultations are by telephone, with both phone and email follow-ups available. Any man or woman residing anywhere in the US can contact us for a free consultation. The other way to keep your HGH costs low is the bypassing of fancy bells and whistles? What does that mean? When you opt for standard vials of HGH rather than simplified HGH injector pens you can save quite a bit of money. The medication is the same – only the delivery method into the body is different. You pay a premium for convenience. Of course, if you do want an injector pen, we will provide you with many options at affordable prices. Contact Greenberg Health for a free consultation to learn more about HGH injection therapy.